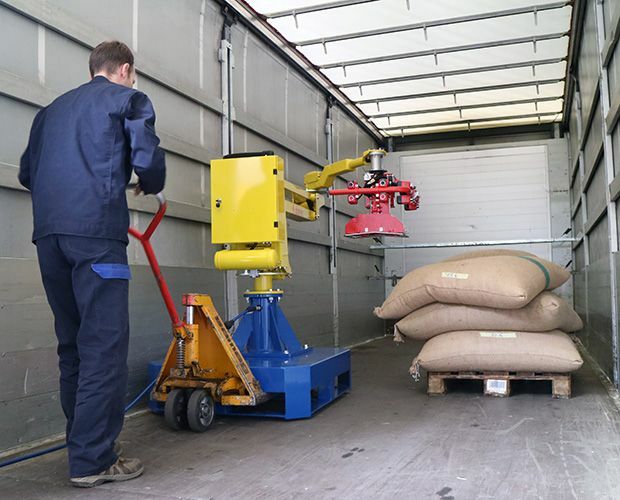 The Micropartner Manipulator is equipped with suitable toolings to the load to be handled and thanks to its small size and weight, it is the ideal tool for the handling in areas with reduced spaces such as containers or truck trailers. 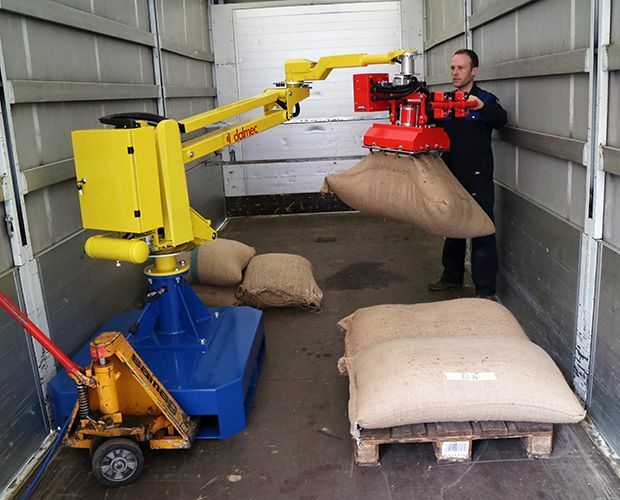 The Manipulator is equipped with a gripping system with special pneumatically actuated hooks and it is used for the gripping, handling and palletizing within the container of jute bags containing coffee. The portable baseplate for pallet truck allows the displacement of the Manipulator within the container. Dalmec Manipulators for loading and unloading of goods within a container. 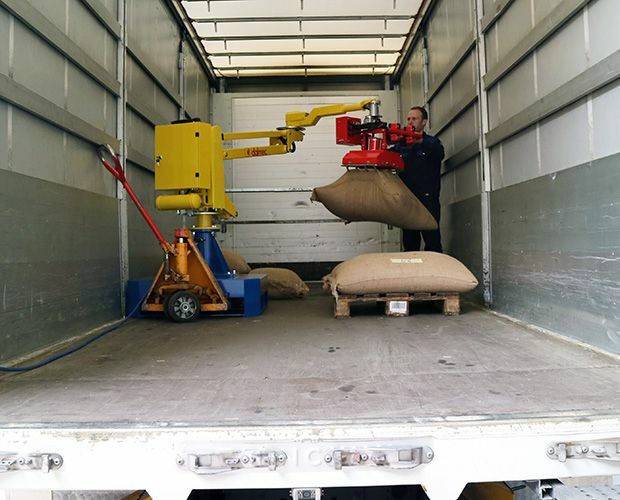 The Micropartner Manipulator is equipped with suitable toolings and allows the palletizing and depalletizing of goods in areas with reduced spaces.